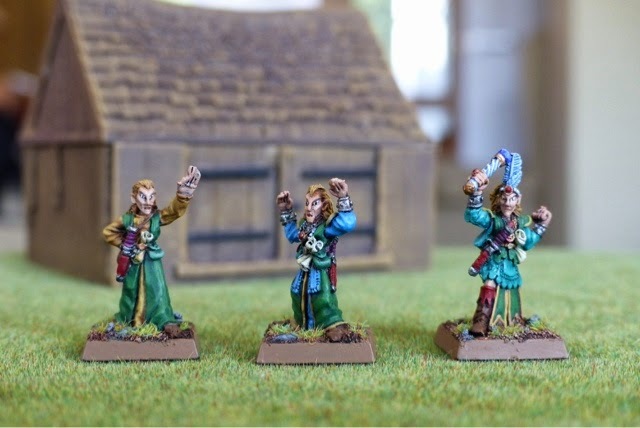 Some More Fey allies for my Wood elves. 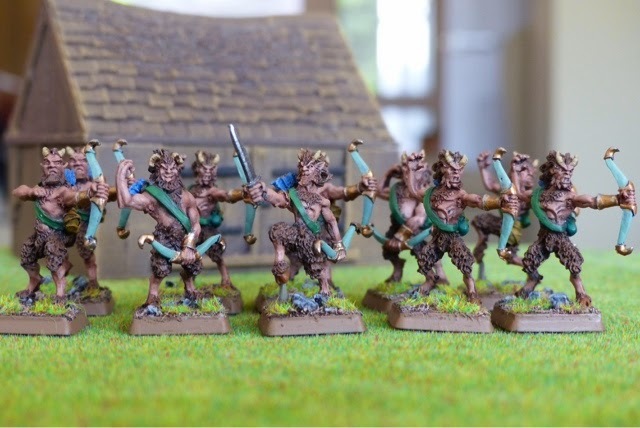 I'd imagine the Treemen, Dryads, Zoats and these Satyrs all forming a significant ally contingent. 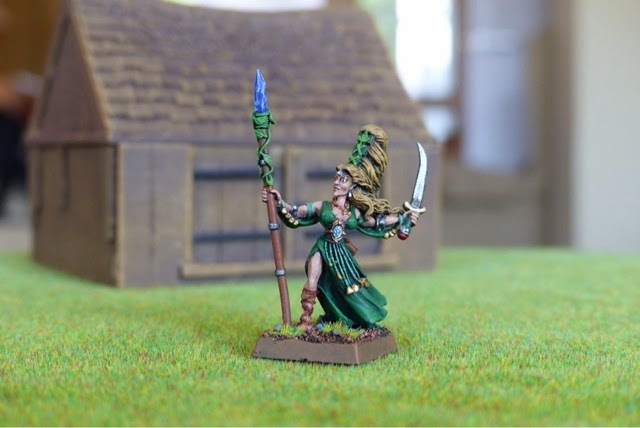 GW wood Elf Mage. I think that elves should have a certain spell casting ability within their army... I seemed to remember in 3rd edition low level spells not being that effective and high level magic completely dominating the battlefield. Hopefully we can find some happy midpoint. Very fine, Justin, very fine!! I love the colours. 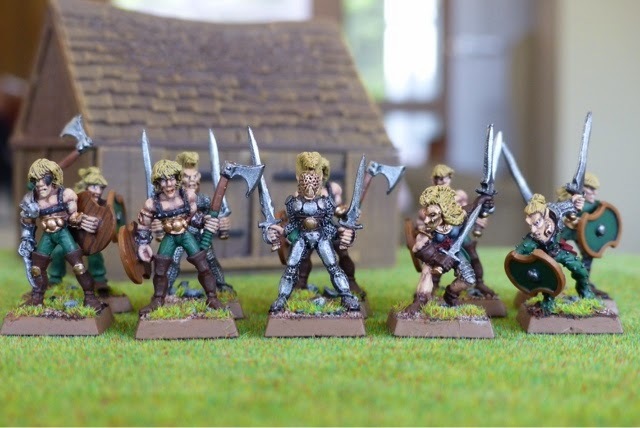 And the choice of allies adds even more character to your already amazing Wood Elf Army. 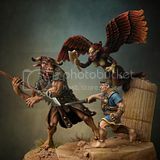 And that group of three casters - yeah! I've never seen the first two before. Can't wait to see this army in action! Love the Wardancers, I will look forward to seeing them with the blue warpaint on. 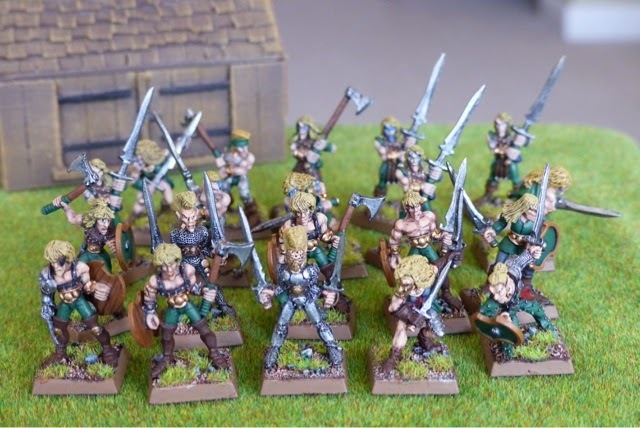 A nice selection Wood Elves, the Mages are great too. How's the table coming along? 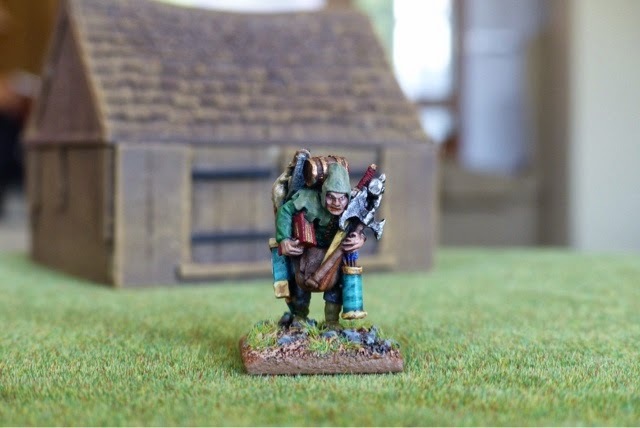 Not making it to Oldhammer weekend?